You may say there are other places to go that are far better than spending a weekend in Indianapolis however, I am here to say that that is not the case! The city has many great things to see and enjoy in the same time. You can go year round and experience a new town every time that you go because the way the seasons change affects how the city changes as well. I love going there in the winter so I can see how the town focuses their attention to the football team being the Colts. The people gather at local sports bars and pubs to see them face off against other giants in the arena and they cheer and chant them on towards a victory. Other cities down south just aren't the same. It's a love that is home grown and breed through generations I believe. Not too long ago I found myself on a road trip with my wife to the famous Indianapolis. I figured it be a great time to get some relaxation and enjoy some new scenery while getting away from every day life for a while so why not! First thing we did was pick up our rental car and started packing up. 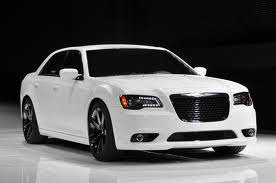 The car we got was a brand new Chrysler 300c. It was a beautiful work of art and has so much room and luxury that I found myself not wanting to give it up after our rental period was over. Anyway back to the story, when we get packed we headed out on our 2 day road trip to get there and we found the car was nice to drive and I was able to drive hours on end without getting tired or groggy due to the reactive feeling that the car gave me. My bottom never got numb or tingly either which is a common thing to run into on long road trips. You will find that with the 300c it is a great all around car with great gas mileage and plenty of power on tap as well. It really is a well engineered vehicle from the ground up. So when we finally got to Indianapolis I had to go to the car museum there to explore some of the cars of history, Porsche being my favorite of course for several reasons. I highly recommend a visit to this facility for not only educational purposes but also for entertainment value as well. There are plenty of exhibits that are interactive that you will surely enjoy. So after that we went and met up with some family and we stayed the course of 4 days with them and we enjoyed every minute of it. Upon our departure we found that the 300c was just as much of a joy to drive home that it was to drive there.